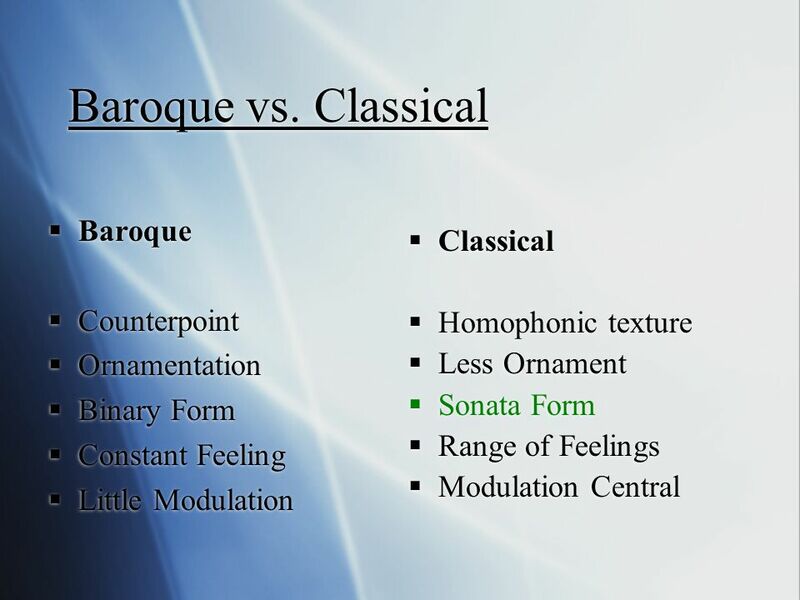 Comparing the Baroque Era and the Classical Era There are two distinct eras in music that have impacted it immensely throughout time. They are known as the Baroque era and the Classical era. These eras have helped mold and elevate music, building creative pathways that still hold a strong effect in present day music.